If your head’s swimming with stats and rankings this morning deciding who to start with playoff implications on the line, here’s a study aid. PlayThisGuy.com has provided us with their consensus rankings for Week 13 quarterbacks, running backs, and wide receivers. You may not have these top 10 players, but dig deep to see what the fantasy ranking masses recommend. If it came down to a coin flip or a consensus rank…I’d choose the rankings. A promising beginning for Colt McCoy? ESPN doesn’t think so. Going up against the Pittsburgh Steelers’ defense is a tough task for any quarterback, but when you draw that challenge as the quarterback of the Cleveland Browns…and as your first NFL start…well, that’s nearly impossible. 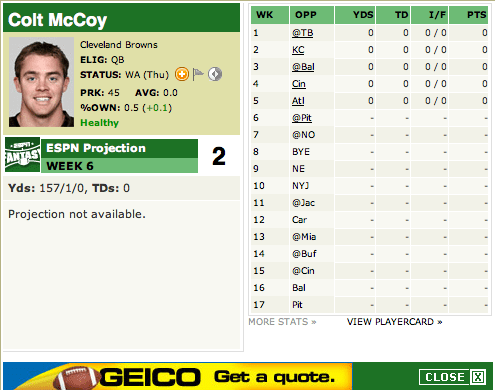 As such, ESPN has their doubts about Colt McCoy this week, not that you were thinking about starting him. 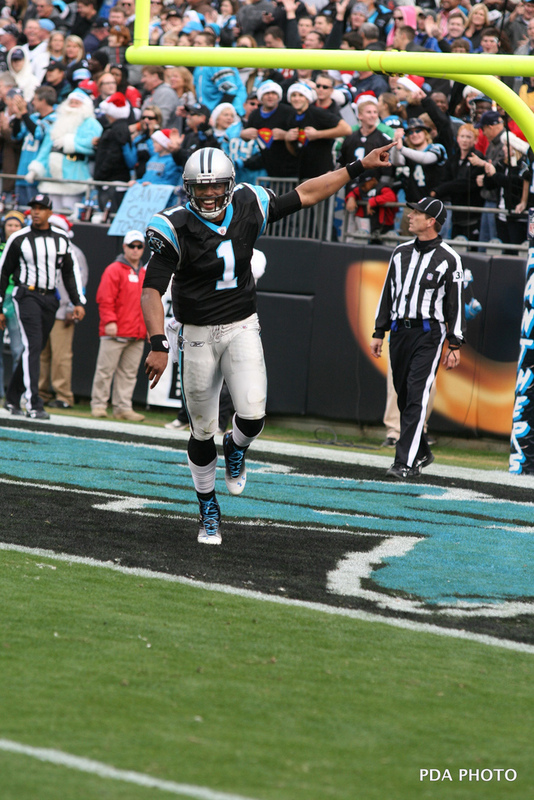 With Seneca Wallace and Jake Delhomme injured (and, in Jake’s case, maybe even if he was healthy enough to take the field), McCoy is the best they’ve got. As a Longhorn, I’ll hope the best for the kid, but this debut might get ugly. Consider this your “McCoy’s potential as a starter in the NFL” open thread if you’d like to put your own opinion on record. UPDATE: Since this screenshot was taken, ESPN has updated their projections to list Delhomme at 4 points, assuming he will get the start. McCoy has been downgraded to 0 points. 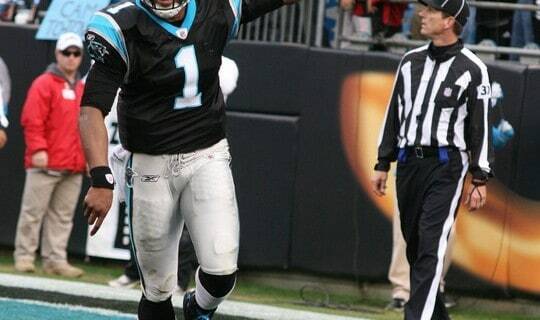 Still, there’s a good chance this game falls on McCoy’s shoulders this weekend because Delhomme looked like half a man last week on his bum ankle.